Manage your extensive music collections! Playing your music with internal player, exporting to HTML, CSV, etc. Convert your music files between different audio formats! Supporting M3U, PLS-playlists, WinAmp and ID tags, etc. 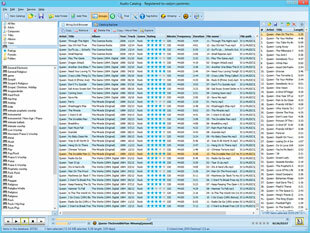 Audio Catalog is a powerful and reliable music manager that will help you to organize your music collection. 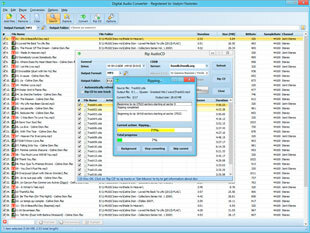 This software makes it easy to edit tags, find duplicates and play music files. Digital Audio Converter© is all-in-one audio converter for audio conversion and CD ripping. This software converts all main internationally recognized audio formats (incl. M4A, MP3, WMA, WAV, AAC, FLAC, OGG, APE, etc.). 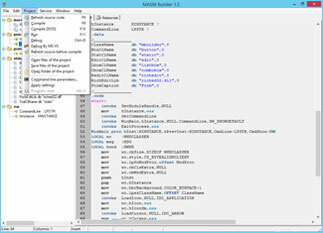 MASM Builder is a free Integrated Development Environment for developing 32-bit Windows programs using the Assembler. It contains many useful features which will assist you in creating Windows API based programs. Powerful and reliable music manager that will help you to organize your music collection. This software makes it easy to edit tags, find duplicates and play music files. All-in-one audio converter for audio conversion and CD ripping. This software converts all main internationally recognized audio formats (incl. M4A, MP3, WMA, WAV, AAC, FLAC, OGG, APE, etc.). New version of Audio Catalog is now available. New version of Digital Audio Converter is now available.